Why pay big city prices? Come and try your friendly local garage - staffed by locals and serving the community for over 30 years (we even sponsor several local sports clubs and events). 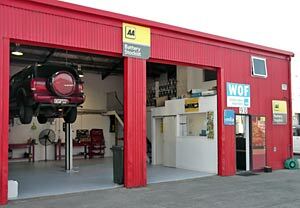 Helensville Mechanical Services and repairs all makes and models of cars, 4-wheel drives, trailers and light trucks. Everything from alternators to windscreens! We have free courtesy cars available, or we can provide pick-ups from work or home. Warrant of Fitness (WOF) checks while you wait. These take approximate 20 minutes and should be booked in advance. We send out reminder letters when your next WOF or service is due. We have friendly staff who provide a first class service. 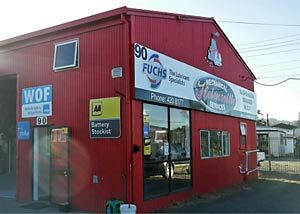 We sell a wide range of parts and consumables, and stock AA batteries and Fuchs motor oil. Helensville Mechanical Services is a member of the Motor Trade Association (MTA) which assures our customers that we meet trade standards and provide high quality service in a safe environment. And we are the Automobile Association (AA) contractors for the area.